Face painting is always a popular activity choice for parties, fetes, corporate events and fund raisers. The face painters’ “tent” frequently has the longest queue and is a fantastic attraction to encourage families to attend. Budgets are often tight for everyone but this is one area where I would highly recommend that corners are not cut. An experienced professional facepainter will be comfortable with painting at speed; dealing with children of all ages; placating tired parents and generally managing a busy queue. •	Ensure they are fully insured with a public liability policy in place. 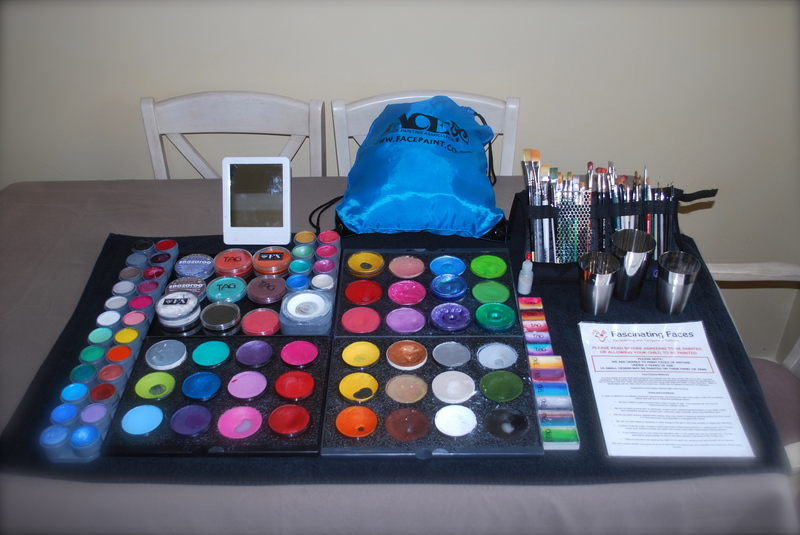 Any individual painting professionally will have this set up as a minimum requirement. Many facepainters also have CRB certificates in place as a result of working in other child related environments, however, whilst this is a nice to have, this should not technically be necessary as a facepainter would always request that children are supervised at all times by their parent/guardian. •	Check their health and safety/hygiene policy. Most professional facepainters will use one sponge per child. Many will have a minimum age for facepainting. We only paint children aged 3 and over as their skin is starting to mature by this age; also many of the paint manufacturers do not recommend use of their products on children under 36 months. Brush water should be changed regularly and all equipment should be thoroughly cleaned between jobs. Children with skin conditions such as eczema, dermatitis, impetigo, chicken pox, cold sores etc should never be painted or those with streaming colds, conjunctivitis etc. •	Ask what products they use. Popular brands are Snazaroo, Mehron, Diamond FX, Wolfe, Cameleon, Superstar. Acrylic paints or metallic/craft glitter should never be used on the skin.